Short one today. Getting ready for a three city trip. Requiem for 3 hours of lost podcasting. Car Wars and Battle Cattle, by Steve Jackson Games. My Pulled Pork recipe is from Alton Brown. His show, “Good Eats”, is on the Food Network. Alton Brown is completely and totally awesome. I’ve learned more about cooking watching his shows than I ever did in the first 30 years of my life. This week’s music track by bill. The name of the track is “Sound Scientist”.Opening requiem music from Elton John’s, Funeral for a Friend This week’s birds come from the Palo Alto, California Baylands Park. 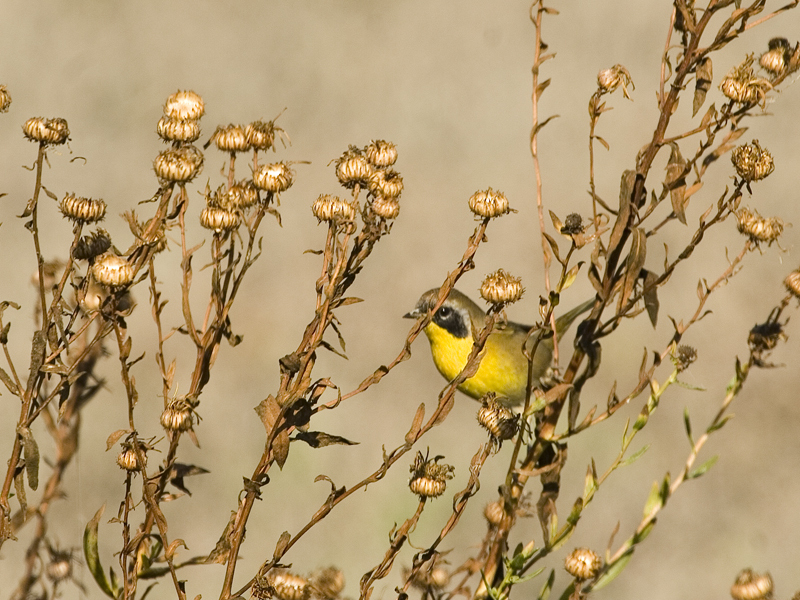 I caught only the briefest glimpses of this Common Yellow Throat. I managed to snap off three frames before the bird flitted away. I’m surprised this shot came out as good as it did. This shy bird wasn’t hanging around to get its picture taken. 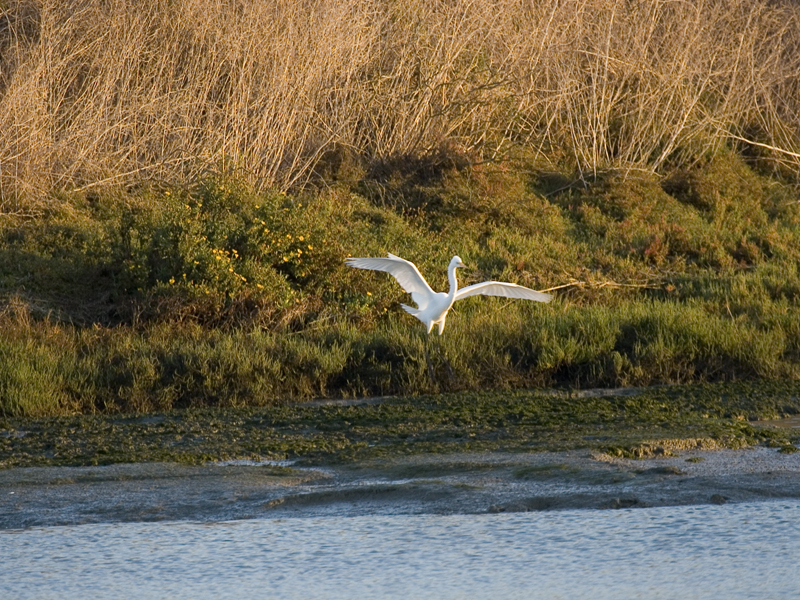 This Great Egret came in for a landing acting more like a flycatcher than an egret. It turned and twisted as it came in, finally landing right in front of me. This was the best of the landing shots. 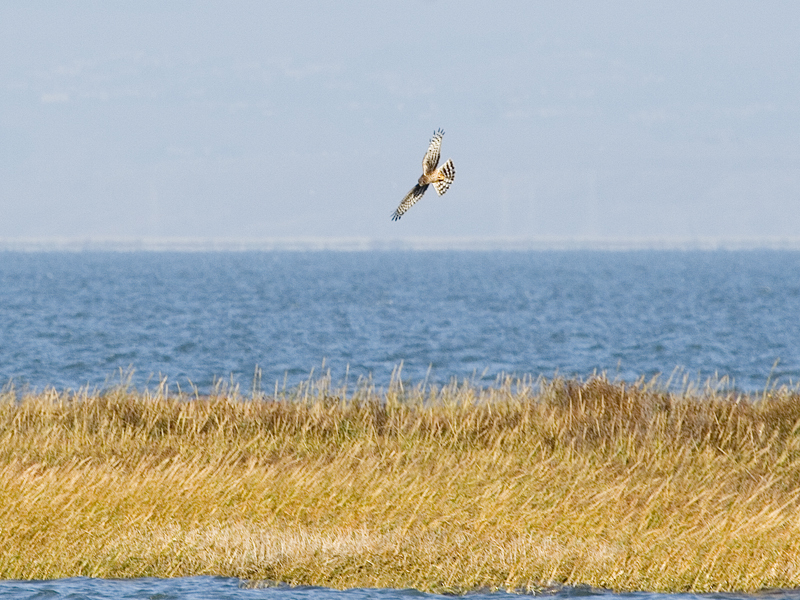 This Marsh Harrier (probably a female) spent a good 30 minutes hunting at the southern most end of San Francisco Bay. She was hunting marsh mice, which are about 1/10th the size of what we think of as mice. They are really tiny, no wonder she needed to eat more than one while I was watching her. A pair of Red-tailed Hawks came and went all over Baylands park while I was there. They were awesome, coming and going as they pleased, and calling out in that wonderful call of theirs. This entry was posted on Sunday, January 15th, 2006 at 3:52 pm and is filed under Music, Podcast. You can follow any responses to this entry through the RSS 2.0 feed. Both comments and pings are currently closed.